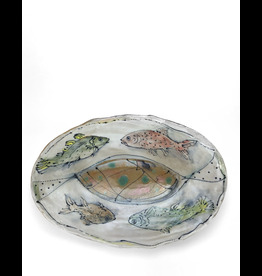 Laurie Shaman is a ceramicist in Chicago who hand-builds vessels, tiles, and wall pieces primarily in porcelain. In recent years she received a Chicago Public Art commission for a six-panel tile mural, and for over a decade she was the director and a studio member of Lillstreet Art Center in Chicago. 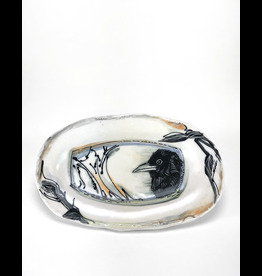 Her work features painted, incised or carved imagery—any combination of faces, figures, animals, birds, town and landscapes. Shaman hopes that the pieces evoke a combination of classical and contemporary sensibilities in shape and surface quality.